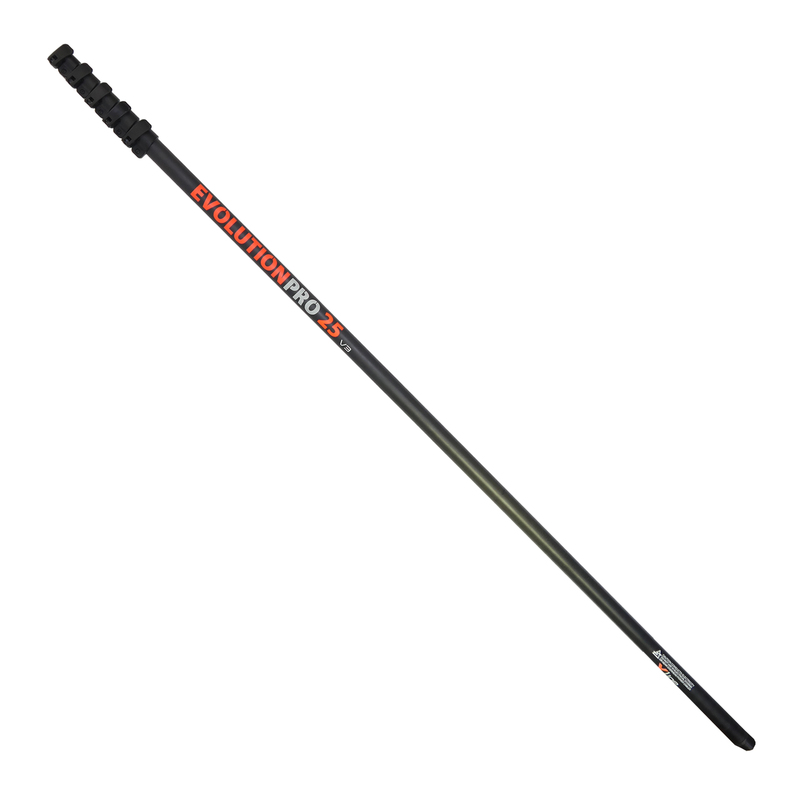 Constructed of 65% carbon fibre & 35% fibre glass, these Evolution Pro 25ft Hybrid water fed poles are incredibly rigid considering they are a composite pole. The Evolution Pro Water Fed Pole has been designed to give excellent value for money. Constructed 65% carbon fibre and 35% glass fibre, these window cleaning poles are suitable for people that want more control over the pole and a lighter option over the glass fibre poles. You will find these Hybrid water fed poles are more rigid than the compitions hybrid poles, this is due to us adding more layers of our high quality carbon fibre to each section, this in turn makes these composite poles more stiffer and durable. These poles are suitable for domestic and light commercial cleaning, available in three different sizes 20, 25, and 30 feet.